What the team is known for Represents clients in town planning disputes, including litigation before the Spanish Supreme Court. Handles contentious-administrative procedures that test the legality of expropriations or challenge town master plans. Assists real estate investors and developers with the due diligence of assets and the analysis of existing licences and permits. 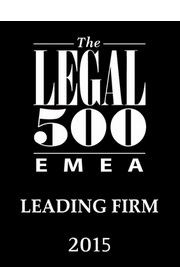 Works in close connection with the firm’s public law department in order to determine the planning implications of legislative changes. What the team is known for Strong choice for Spanish family offices, private companies and individuals looking for advice on disputes with tax authorities. Assists with corporate restructurings and with the tax planning of M&A or real estate transactions. Team members frequently advise on contentious VAT matters. Assists major clients in the banking and insurance sectors. “Very well-known tax litigator” Felipe Alonso leverages his previous experience working as a tax inspector to advise on a broad range of mandates in the field. He typically assists small companies, financial entities and high-profile individuals with either tax planning matters or tax litigation proceedings. “He has so much experience,” notes one client, who goes on to say: “He always wants to do things properly and in the most efficient way.” “He’s top-notch in terms of quality,” state peers. GTA VILLAMAGNA’s Ernesto García-Trevijano is described by sources as “an amazing lawyer” with a “high technical capacity.” He offers particular expertise in the areas of biomass and solar power and also advises on deals involving solar power plants. He regularly acts on behalf of US and UK-based investment funds on M&A transactions in the energy market. According to sources, Ernesto García-Trevijano of GTA VILLAMAGNA is “very experienced, accessible and looks for a range of solutions; he’s a brilliant lawyer who is great to work with.” Another client adds: “He makes us feel at ease when we have complex matters to deal with.” His practice includes environmental compliance, permits and assistance with judicial proceedings. Ernesto García-Trevijano‘s broad practice in public law allows him to assist investors and developers with complex contentious and non-contentious planning issues. He advised Millennium Procam on its claim for damages against the city of Lorca following a failed project to develop a plot of land. “He’s a super high-quality lawyer,” notes one client, who adds: “He and his team work hard, can co-ordinate with any other firm and have a seamless way of communicating with us.” “He knows the company well and tailors his responses to our needs,” says another interviewee. Marta Plaza González rises in the rankings this year after receiving significant praise from clients for her handling of urban management and planning matters. “She’s very practical and goes through the issues systematically,” says one impressed interviewee. Another source describes her as a “brilliant lawyer who takes a hugely proactive approach to matters.” She assisted Quabit Inmobiliaria with claims relating to a planning development in Castilla-La Mancha. Sources highlight Jaime Ena for his technical skills and for his broad knowledge spanning different areas of tax law. He is regularly instructed to handle the tax aspects of M&A and corporate restructuring transactions and has additional expertise in audit and contentious tax matters. 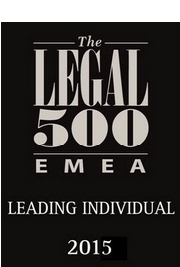 What the team is known for Represents clients in town planning disputes, including litigation before the Spanish Supreme Court. Assists real estate investors and developers with the due diligence of transactions and the analysis of existing licences and permits. Also handles expropriations, licence applications and rezoning mandates for clients in the hotel and leisure sectors. 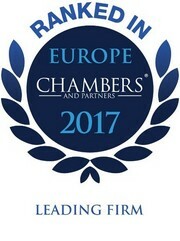 What the team is known for Strong choice for Spanish family offices, private companies and individuals looking for advice on disputes with tax authorities. Also assists with the structuring of M&A transactions and on corporate restructuring, often within the context of wealth management. Team members frequently advise on VAT matters. Ernesto García-Trevijano leads the team at GTA VILLAMAGNA. Sources single him out for his technical knowledge, accessibility and client attention, noting: “He gets to the nub of the problems straight away.” He primarily represents private companies in their dealings with the authorities, with noteworthy activity of late on high-value disputes over concessions. He is particularly prominent in the construction and infrastructure spaces. Clients highlight Ernesto García-Trevijano‘s “empathy and ability to get to the bottom of issues quickly with limited information.” He leads the energy team at GTA VILLAMAGNA and specialises in matters regarding concentrating solar power, biomass and photovoltaic energy plants. According to interviewees, Marta Plaza González “listens to what the client wants” and “makes the client feel at ease.” She advises on expropriations and on the implementation of planning and urban management instruments across different autonomous communities. Clients report that Jaime Ena offers “in-depth knowledge of the law and imaginative solutions when problems arise.” He handles a broad range of litigious and advisory tax matters ranging from corporate restructuring to disputed tax audits. GTA Villamagna Abogados has a team that ‘projects trust’ and ‘always answers your calls’. The team is particularly noted for advising the construction and energy sector, where it acts for big name clients such as FCC, Holcim and Ferrovial. ‘Always at the disposal of the client’, team head Ernesto Garcia-Trevijano ‘knows what he is talking about’. GTA Villamagna Abogados has a fine track record acting for clients in the energy sector. The ‘knowledgeable and experienced’ Ernesto García-Trevijano leads the team at GTA Villamagna Abogados. Founded in 2012, GTA Villamagna Abogados provides ‘accurate and practical advice’ and ‘stands out for its quality/price ratio’. Practice head Felipe Alonso and Jaime Ena ‘are always ready to provide solutions in a constructive and fast way’. Recent highlights include advising Grup Maritim TCB on the tax structuring of its €700m takeover by APM Terminals. Practice head Felipe Alonso and Jaime Ena ‘are always ready to provide solutions in a constructive and fast way’. What the team is known for Madrid team that has an increasing reputation in the field, assisting with contentious matters, planning instruments, permits, licences and issues deriving from transactional work. Clients include public entities, as well as significant names from sectors such as energy and real estate. 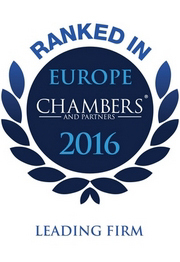 Strong experience of major urban developments and administrative proceedings. What the team is known for In-demand firm offering specialist Spanish tax advice to both domestic and international clients, noted for the experience provided by its key partners. 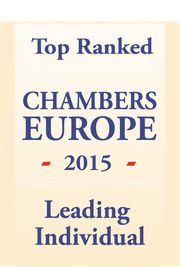 Particularly active in significant tax litigation matters and on assisting with tax audits. Frequently advises on VAT matters and personal taxes. What the team is known for Compact department advising family businesses and individuals on tax auditing, structure creation and succession planning. 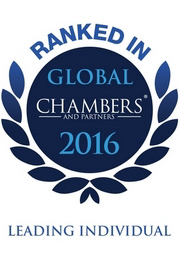 Possesses additional expertise in litigation, as well as in investment vehicles and products. Also assists clients with private banking and the restructuring of businesses and wealth. Interviewees heap praise on top-ranked Ernesto García-Trevijano of GTA VILLAMAGNA for his strategic approach, and comment: “He’s an excellent lawyer and offers solid knowledge, complete dedication and, above all, a clear outline of all your options.” His standout instructions of last year include the defence of CESPA in judicial proceedings concerning the cancellation of a public contract for waste management. García-Trevijano also handles urban planning and regulatory issues in a range of sectors, including energy and water. Founding partner Felipe Alonso is praised for his experience and expertise, with one client saying: “I would follow Felipe as the confidence is 100%.” He is also considered “the number one” in providing”technical knowledge” when advising clients on tax litigation, corporate tax law and indirect tax. 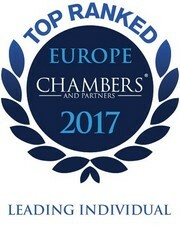 Lauded by clients as a “good lawyer and a good businessman,” Ernesto García-Trevijano of GTA VILLAMAGNA has considerable, recent experience on regulatory and transactional mandates in the renewables sector, including advising Técina y Naturaleza on the EUR34 million acquisition of shares in companies holding photovoltaic plants in Tenerife. La publicación TTR ha calificado la operación de compraventa de Grup Maritim TCB, en la que GTA VILLAMAGNA ha asesorado, como la transacción más relevante del trimestre (1Q 2016). 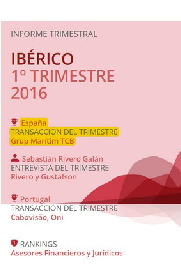 TTR ha seleccionado como transacción más relevante del primer trimestre de 2016 en España la compraventa de Grup Maritim TCB, compañía dedicada a la prestación de servicios de gestión de las terminales de contenedores y servicios logísticos en diversos puertos en España y otras cinco jurisdicciones. La operación está valorada en 1000 millones de dólares y GTA Villamagna ha actuado como asesor legal del vendedor. Ernesto García-Trevijano, who has ‘deep knowledge of environmental regulations’ and gives ‘valuable, business-oriented advice’. Jaime Ena has a strong profile for restructuring, tax planning, and transfer pricing. Wealth management is another forte. Recently established team with a strong, growing reputation on the Spanish market. Advises both public authorities and private companies across all aspects of planning law, including administrative proceedings, obtaining licenses and drafting planning agreements. “A very positive rating for a very practical team. I would highlight its knowledge, speed of response and proactivity in searching for solutions”. Benefits from the considerable reputation of key partners to attract important tax litigation matters. Especially active appealing Spanish tax audits for domestic clients and assisting international clients with preparation of tax audit strategies. 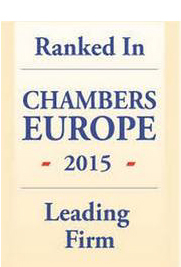 Strong track record in litigation, defending clients in tax audit cases before the Spanish tax agency. Noted for its advice to high-profile clients on wealth restructuring in the wake of the Spanish tax amnesty. Ernesto García-Trevijano of Madrid firm GTA VILLAMAGNA is well known among peers as a public law lawyer with tremendous experience in environmental litigation. Sources draw attention to “the speed with which he can give answers and the simplicity with which he explains himself.” He regularly assists industry clients with disputes over waste management. Firm founder Ernesto García-Trevijano heads the planning department and specialises in public procurement, construction, town planning and environmental law. 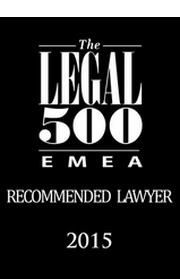 Clients say he is “extremely clever, adept in litigation, quick to understand problems and very ethical. Recently promoted partner Marta Plaza González is highlighted by sources for her efficiency, intelligence, responsiveness and attention to detail. Her areas of expertise include distribution of land, public infrastructure and planning agreements. Ernesto García-Trevijano of GTA VILLAMAGNA remains “an indisputable figure in the field,” according to one source. Clients also comment favourably on his commercial focus. Felipe Alonso has tremendous experience in advising individuals and companies in sensitive tax litigation proceedings, particularly defending against aggressive tax audits. “I really appreciate his expertise in special circumstances like claims against the administration and declarations on different interpretations of tax issues,” says one client. Alonso also assists with criminal claims and income tax refunds. Practice head Felipe Alonso is lauded for his work in tax litigation: “He is very careful and imaginative, and finds solutions in very complicated cases,” remarks one client. Felipe Alonso is head of the tax department at GTA Villamagna Abogados, which comprises two partners and 13 other fee earners with multidisciplinary tax expertise, which encompasses indirect tax, corporate tax and tax disputes. 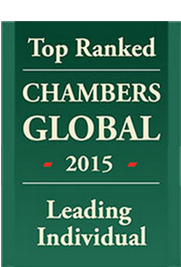 Alonso is recognised by peers as a leader in tax consultation and is recognised for strengths in tax litigation. The tax department is best known for general tax services, VAT, personal tax, corporate tax, transfer pricing and tax audits. GTA Villamagna Abogados supports clients from all industries, with particular proficiency in handling matters related to banks, commercial & professional services, financial services and insurance, and industrial engineering. Over the past year, the firm has participated in a number of important matters in tax litigation, corporate structuring and complex cross-border M&A. It defended a client in court over VAT matters related to transactions which were considered to be within intra-community carousel fraud by the Spanish tax authorities. The case concluded in the payment of $3.42 million, the value of tax debt derived from the tax inspection raised.